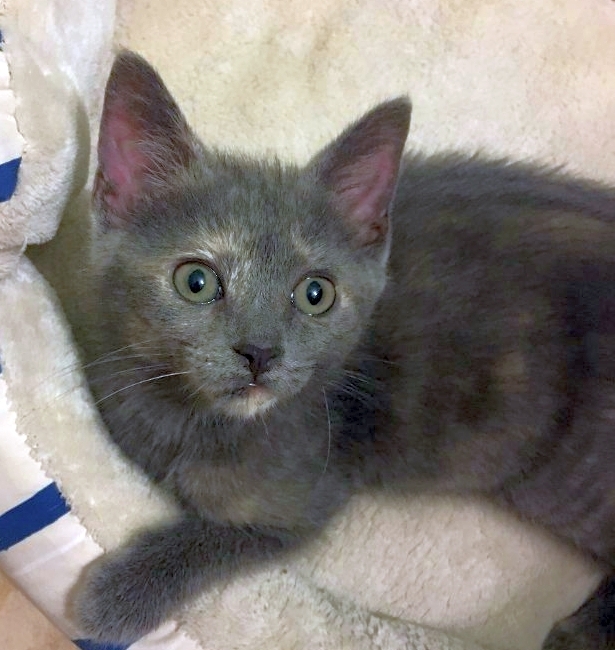 Theodora is an active, curious, playful kitten! She loves to play and will chirp at you if you aren’t giving her the attention she feels she deserves. She will hold still for pets and give you a purr before she is off to chase a ball or pounce on a wand toy. Theodora may have been exposed to a kitten who was later diagnosed with a life-long virus. In an abundance of caution, the rescue will adopt Theodora to a home with another of the cats or kittens who was also possibly exposed. Check out Batman as a possible playmate. She would do well with a playful, cat-friendly dog, given appropriate supervised introductions. Please email cats@lostdogrescue.org for more information. Estimated date of birth: 6/6/2018.